This section provides management tips on a variety of topics so as to help Muslims achieve excellence (ihsan)in their workplace. It is meant solely for your use as an individual reader of this blog. Please do not copy, reproduce or quote on another blog or other website, book or in any other format without permission. Jan 7, 2011 – Anaheim: Islamic Shura Council of Southern California is pleased to launch an online leadership and management course tailored for the current and future leadership of Masajid and non-profit organizations. “Masajid ought to be the best run organizations and this course is designed in that direction,” said Dr. Maher Hathout, Chairman of the Islamic Shura Council.The online course covers relevant topics from an Islamic perspective such as Leadership, Team Building , Strategic Planning, Improving Board’s Effectiveness, Business Ethics, Stress Management and Conflict Resolution among others. This course is available to individuals, as well as organizations that would like to institute standard periodic management training for a group of staff and volunteers. This online course is conducted by Dr. Rafik Beekun, Professor of Management and Strategy, Co-Director for the Center for Corporate Governance and Business Ethics at the University of Nevada. Dr. Beekun has also authored Islamic Business Ethics; Strategic Planning and Implementation for Islamic Organizations and co-authored (with Dr. Jamal Badawi) Leadership: An Islamic Perspective. “Thanks to technology that Imams, leaders and volunteers or individuals and families – from the comforts of their living rooms and offices can now benefit from this knowledge repository ,” said Shakeel Syed, Executive Director of the Shura Council. The full online course comprising all 9 topics is available for $75 per person, and mini-courses featuring 2-3 of the topics at a time are available for $25 each. Participants can take this online course at their own convenience and pace from anywhere in the world. Sign up today and for group discounts, please contact onlineeducation@islamicity.com. “I highly encourage Muslim leadership to avail themselves of this invaluable resource that blends Islamic values and modern management principles helping us to serve our communities better,” said Dr. Muzammil Siddiqi, Chairman of the Fiqh Council of North America. The online course is produced in collaboration with Dr. Rafik Beekun and IslamiCity and can be accessed online. This course was earlier available in DVD format. 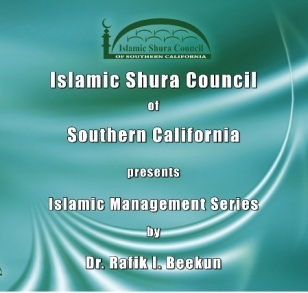 Islamic Shura Council of Southern California The Islamic Shura Council is an umbrella organization of Mosques & Muslim organizations serving the Muslims of Southern California. Since 1995, the Council continues to foster the spirit and culture of “working together” at all levels in one of the most diverse and largest Muslim populations in the country. b. The Leader as Coach and Delegator. a. Leadership and Emotional Intelligence in Islam. b. Three approaches to stress. c. Sources & effects of stress. c. Levels of conflict and the conflict process. e. Step-by-step process for resolving conflict. 1. How Does Islam Guide Us in Managing Stress? Each lecture module is accompanied by an online quiz and Islamicity can report the grades of the students of this course to any institution using this online course. Communication Tip#1: Repeat your message to ensure understanding, and use feedback to verify meaning. Narrated Anas (r): Whenever the Prophet (s) spoke a sentence (said a thing), he used to repeat it thrice so that the people could understand it properly from him, and whenever he asked permission to enter, (he knocked the door) thrice with greeting. (Sahih Bukhari, volume 1, hadith 95). The sender has some kind of meaning he/she wishes to transmit to the receiver, and is the one who is sending the message. The receiver is the target of the message. The sender encodes the message using for example language that he/she believes that has meaning for the receiver. 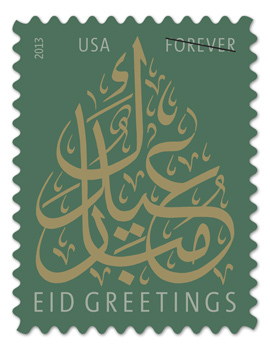 The receiver decodes the message by following the reverse process–in this case the same language or symbols to get to the meaning of the message. The medium is the what the message is transmitted on. The phone system, Internet, and many other electronic systems use wires. Native Americans use smoke, and many tribes use drums. Noise is anything that interferes with the communication process: the sender may be encoding using terms that the receiver does not know; the receiver may be distracted by what is happening around him/her. To overcome noise and ensure that the encoding and decoding processes match, the Prophet (s) thus repeated his message. The sender can also ask the receiver to repeat back to him/her what he or she understood of the original message. By listening to what the receiver recites back, the sender can determine how much of the original message was properly understood. One can also improve communication effectiveness through feedback–reversing the communication flow where the original sender becomes the receiver, and the original receiver becomes the sender, and he/she is asking for clarification. This is exactly what Aisha (r) did when she was not clear on something. In a hadith narrated by Ibn Abi Mulaika, whenever Aisha (ra) (the wife of the Prophet (s), heard anything which she did not understand, she used to ask again until she understood it completely. Once the Prophet (s) said, “Whoever will be called to account (about his deeds on the Day of Resurrection) will be surely punished.” I said, “Doesn’t Allah say: “He surely will receive an easy reckoning” (Qur’an, 84:8)? The Prophet (s) replied, “This means only the presentation of the accounts but whoever will be argued about his account will certainly be punished (or ruined).” (Sahih Bukhari, volume 1, hadith 103). Communication Tip#2: Articulate your words to ensure understanding. The importance of articulating your words (pronouncing them clearly and distinctly) relates to the encoding phase of the communication model illustration in communication tip #1. Proper articulation ensures proper encoding by the sender of a message. and consequently more accurate decoding on the part of the receiver. The Prophet (s) was well aware of the need for proper articulation as indicated by the following two sahih hadiths. My breast will be straitened and my speech may not go (smoothly): so send unto Aaron. Gather honest, truthful, and pious people around you as your companions and friends. Train them not to flatter you, and not to seek your favor by false praises. […] Try to realize that a ruler can create goodwill in the minds of his subjects. He can make them faithful and sincere only when he is kind and considerate, when he reduces their troubles and difficulties, when he does not oppress or tyrannize them, and when he never asks for things beyond their capacities. In other words, the leader should make sure that members of the board of directors or board of advisors or any other group are not seeking his/her approval gratuitously or acting as his/her clones. As one of my mentors once said, negative feedback should be treasured because it indicates where one can improve. Positive feedback, on the other hand, only reinforces the status quo. Listen to any feedback, whether positive or negative. Once a person stood up in a public meeting and told `Umar to fear [and respect] Allah. The audience tried to stop him, but ‘Umar said: “Let him speak. He is free to give his opinion. If people do not give their opinions they are useless, and if we (the rulers) do not listen to them we are useless.” The above quotation from Ali also discusses how you can ensure that your followers are not self-serving. To read more about groupthink and understand how to avoid it, please look up the book Leadership: An Islamic Perspective that Jamal Badawi co-authored with me. It is available from the online store on this site. Ethics Tip#1: Exert due diligence in repaying (company) debts, and do not attempt to abscond with borrowed assets. Narrated Abu Huraira (r): The Prophet (s) said, “Whoever takes the money of the people with the intention of repaying it, Allah will repay it on his behalf, and whoever takes it in order to spoil it, then Allah will spoil him.” (Sahih Bukhari, volume 3, hadith 572). Remember the example of the senior executives at Enron, Global Crossing, WorldCom, etc. Theft or embezzlement of others’ money will lead to one’s being ‘spoiled’ or encountering adverse consequences from the Almighty. Ethics tip #2 below reinforces this link between theft and self-destruction. Ethics Tip#2: Avoid self-destruction: Practice Islamic values at work. Halal forms of business are highly encouraged in Islam. Any corruption, exploitation and treachery is firmly discouraged, and the punishment for these types of acts extends not only to this world, but also to the Hereafter. Even if a person escapes justice on earth, he/she cannot avoid what our Lord has in store for us. As the articles on corruption in Saudi Arabia and on the remainder of the Muslim world point out, Muslims should keep away from unethical practices and/or behavior even if the other (weaker) party agrees to such a deprivation or exploitation under the stress of circumstances. “Do not kill yourselves” refers to the eventual outcome of exploitation – It perpetuates a cycle of hatred, and anger, which will eventually rebound on the oppressors themselves. Exploitation of any kind is tantamount to self – destruction. All dealings must be based on justice, and compassion. Leadership Tip#1: Delegate Wisely. Delegate, don’t abdicate. Select the right person for the task. Do not assign a task that is beyond the cur­rent knowledge or skill level of your team member or follower. The Prophet (s) refused to appoint Abu Dhar (r) to a position of authority when the latter was still a new Muslim. Delegate both the pleasant and the unpleasant. Do not assign only unpleasant tasks. Oth­erwise, motivation and commitment will suffer. At Khandaq, the Prophet (s) himself carried containers of soil on his head. He also milked his own goats, and mended his own clothes. Do not wait until the last minute to dele­gate. In the Bible (Exodus 18: 17-23), Jethro, Moses’ father-in-law, is advising Prophet Moses (a) on how to delegate properly and how to delegate ahead so he does not ‘wear’ himself out. Delegating a complex task may overwhelm the person you are delegating to. Break it up into manageable chunks. An initial small success with a chunk of the task may act as a motivator. The Prophet (s) believed in gradualism, and Allah in His Perfect Wisdom used gradualism in the manner He incrementally forbade alcohol in the Qur’an. Delegate to someone specific; delegate a specific task; delegate within a specific time frame. The Prophet (s) would have clear instructions written as to destination and task for Muslims being sent out, and these were to be opened only after a certain spot had been reached. Be willing to provide your follower with the necessary authority to fulfil his responsibility. You will, however, be ulti­mately responsible for the outcome. As the Prophet (s) stated, the ruler is the one who is ultimately responsible for the welfare of his people. We see Abu Bakr (r) being deeply aware of this dimension of leadership–in his first speech after being selected as the Amir of the Ummah. Leadership Tip#2: Use coaching to identify your followers’ true talent, and to help them into developing it to the fullest. Coaching is one of the most important dimensions of effective leadership. In our book on Leadership: An Islamic Perspective, Jamal Badawi and I have a chapter on coaching for Muslim leaders. We need to remember that the Prophet (s) is our model coach, and he himself spent years at Dar al Arqam with his companions, teaching and coaching them. In the excellent but concise video below, some of the elements of coaching are discussed. Leadership Tip#3: Make it possible for your followers to succeed through building positive relationships, cooperation and mutual understanding. Motivation Tip#1: Work is an act of worship (ibada). In Islam work is given special importance to the extent that it is considered as an act of worship in itself. Although some people believe that they are not obliged to work because they dedicate themselves to worshiping God, this is actually a wrong perception of the concept of worship. The Muslim scholar Imam Al-Ghazali mentioned in his book Ihyaa’ `Ulum Ad-Deen (Revival of the Religious Sciences) that Jesus (peace and blessings be upon him) once saw a man who had completely devoted himself to worship. When he asked him how he got his daily bread, the man replied that his brother, who worked, provided him with food. Jesus then told him, “That brother of yours is more religious than you are” (The Book of Provision, Chapter 1). Al-Ghazali also mentions the Prophet’s Companion `Umar ibn Al-Khattab (r), who used to stress this point further by telling people, “Never should anyone of you think that du`aa’ (supplication) for sustenance without work will avail him, for heaven never rains gold nor silver” (The Book of Provision, Chapter 1). This tip is based on the article, “The Concept of Work in Islam” by Kamal Badr. Dr. Rafik Beekun and Dr. Iqbal Unus, 1999. 1.Targets or immediate action plans, 2. Short-range plans, 3. Intermediate-range or medium-range plans and 4. Long-range plans. Long-range plans, also called strategic plans, range over a period of five to ten years depending on how turbulent the external environment of the organization and the type of product or service this organization is providing. An example is the construction of a full-fledged Islaamic Center. A vital element in long-range planning is the establishment of certain goals. Let us briefly consider what organizational goals themselves are. a. Assumptions about uncontrollable factors, i.e., population trends, political issues, etc. b. Assumptions about controllable factors, i.e., budget allowances, da’wah priorities, etc. Once the strategic plans are formulated, an organization may establish intermediate-range plans. This type of plan usually concerns activities that require a shorter period to be implemented, i.e., one to two years. The same two assumptions apply to intermediate-range plans. More importantly, intermediate plans should flow logically from the long-range plans. Consider the example of the Islaamic organization whose long-range plan is to build an Islamic center. Such an organization may consider the establishment of an intermediate-range plan to fundraise for money. This action would be a logical step toward the attainment of its long-range plan. Short-range or tactical plans provide the guidelines for the year-to-year operations of the organization, and propose the step-by-step methodology by which they are to be carried out. 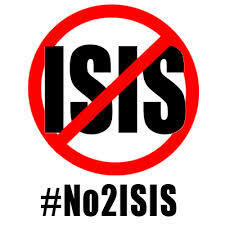 Consider again our hypothetical Islamic organization. Before it can fundraise any money, it will have to have an architect design the Islaamic center. Only then will it be able to use the blueprints to ask for money. Otherwise, nobody will be willing to donate any money to an imaginary project. Short-range plans themselves can be broken down into very specific targets or immediate action plans and last usually from 1 to 30 days. Thus, with respect to our hypothetical Islamic organization, the Shura will have to decide what architect will do the drawings, who will contact him, and how much they are willing to spend to obtain these blueprints. In the abovementioned book on strategic planning, beekun details how to develop both long-term, strategic plans and short-term, operational plans. All Islamic organizations should engage in planning conscientiously. 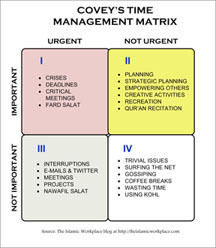 It is therefore important that Muslim leaders learn how to plan effectively. What are the characteristics of a plan that will work? 1. Plans need to be specific if they are to motivate your members towards concrete actions. You cannot state your aim as being the “spreading of Islam in the world.” It would be too ambitious and idealistic a plan, and would discourage your members. 2. Plans must be action-oriented–neither too easy, nor too difficult. They must also be easily understandable by the brothers or sisters who are to accomplish them. 3. Plans must be flexible. The greater the number of uncontrollable factors, the more flexible the plan should be. 4. Plans must be consistent with the goals of the Muslim community at large, and must be coordinated internally between the organization’s members and the Shura. Planning may be either centralized or decentralized. In a centralized type of planning, the process is in the form of a pyramid. The president sets goals for the members of the Shura, states the standards and the results expected, provides the information and training that the members need, explains the proceduresfor action, develops and improves the current methodology, and applies discipline to ensure that everybody implements his part of the overall plan. Usually, a centralized mode may work if there is to be no margin for error, or if the president is working with a number of relatively inexperienced volunteers. Nevertheless, one rule of thumb of effective planning is that every Muslim in the organization who will be directly or indirectly affected by the plan should be involved in the planning stage too. 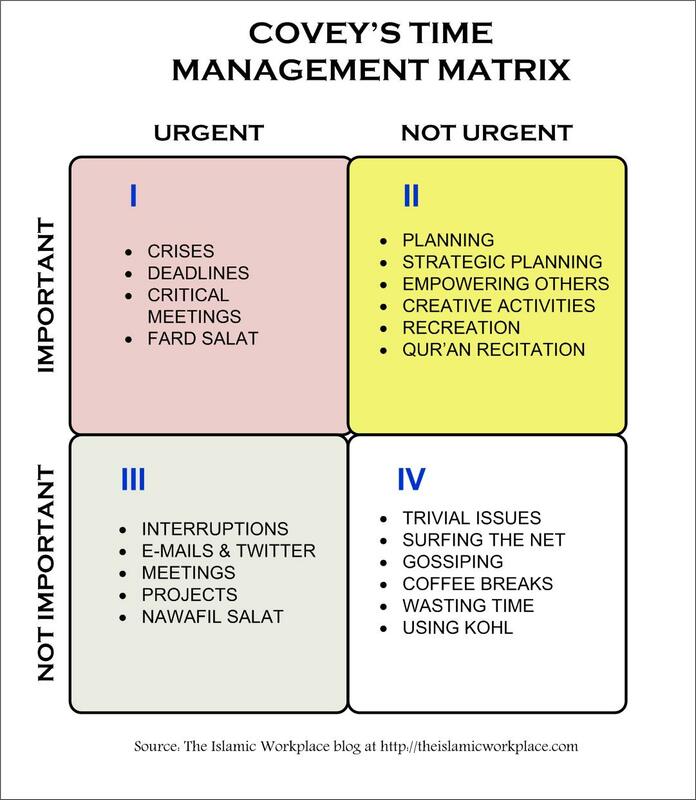 How Does an Islamic Organization Plan Effectively? Organizational plans deal with a slice of the future. Although part of the Shura’s tasks deal with current operations, it must also anticipate what the future is likely to bring. Once the Islaamic organization has defined its goals, it must attempt to forecast the factors that may develop during the planned-for period. Forecasting is the technical term used for this stage of the overall planning process. Thus, a plan to build an Islamic Center in Area A should include a study of the Muslim population trends, or at least a forecast of such trends. In order to be able to make such forecasts, the Shura can base its judgments on past experience, or it can obtain information through surveys or questionnaires. Before we outline a planning methodology, we would like to warn you about the time frame within which you are casting your plans. Once a plan is adopted and resources are being channeled into specific target areas, the Islamic organization is more or less committed to a certain line of action. Consequently, when you plan, take into account a period long enough to see the plans through by means of a series of specific, flexible and measurable actions. We will now introduce a method of planning known as Management by Objectives. Put simply, such planning determines Who is going to do what, how, and when. There are four steps to MBO planning: preparing, deciding, communicating and controlling. b. Collect facts, opinions, and experiences of others which bear on these objectives.c. Consult with everyone who may be involved with the plan directly or indirectly. The old files of the organization, as well as contacts with those who attend the Jumu’ah prayers will provide the Executive Committee with some kind of an idea of what type of people live in the community. a. Analyze all the data, including every possible consequence. It must be remembered here that limited resources are not to be equivocated with constraints; resources can be expanded, and one should be neither be overly pessimistic nor too optimistic at this stage. b. Develop alternative courses of action; if formal Sunday school fails, we can still have informal sessions for the genuinely interested people at the place of Brother Kara under the supervision of Brother Muhib each Friday evening. d. Set standards. For example, if the membership committee has its goals the registration of 10 new members each month, how far has it succeeded in doing so? Or, for example, if $100.00 must be raised at each bi-weekly dinner, is it feasible? a. Using the information gathered on the “targeted” community, decide upon precisely who will be directly or remotely involved with the plan. b. Select and implement the best methods of communicating the plan to them. For the Eid prayers, Group A will arrange for the location, Group B will be in charge of the public address system, Group C will handle the publicity, Group D will provide the prayer sheets, Group E will clean the place both before and after the prayers, etc. c. Check to be sure that everyone involved understands and accepts the plan. Brothers Ali, Umar and Uthman belong to Group A. The danger, here is of splitting the plan too much. Once Group A has understood and accepted to do a certain job, allow it some initiative in the way it goes about carrying out its assignment. a. Set up check points to evaluate the program. Are we on target, or not? If we are planning to build a youth hostel, we will try to see how the fundraising committee, the land-selection committee, etc., are doing (each month at early stage of the plan, and each three months at a later stage of the plan). b. Compare actual results with anticipated ones; if we plan a May 2008 convention, site selection must be done by July 2007; a convention committee must be set up with the local chapter’s cooperation by August 2007; a program committee should start choosing a topic and looking for speakers; a publicity campaign committee should begin its work by December 2007, and preregistration materials should be mailed out by the end of January 2008.
c. Take remedial action when necessary; namely, change current targets in the plan as the situation evolves, or even change the whole plan. Corrections on the way are better than disasters at the end, and it is very often difficult to publicly admit that one has made a mistake. The planning process, specially stages 2 through 4, builds upon an even more delicate set of decisions, that of coming up with a budget. The organization should consider how much money it needs to implement various parts of its plans. Although financial analysis should complement your planning process, it is beyond the scope of this handout. At the very least, make sure that you remain aware of how much various components of your plan will cost and how the financial resources to implement the plan will be procured. The whole DVD set is $100, not including shipping, and is meant for Islamic organizations or leaders interested in training or continuous learning. Insha Allah, we will sell the lectures separately later on. Video Preview #2: How Does Islam Guide Us in Managing Stress?